Father Francis X. Callahan, whose vision ranged from sharing the ideals of Vatican II among his fellow priests to shepherding St. Margaret Parish in Bel Air through its boom decades, died July 6 at Stella Maris in Timonium. Six weeks after celebrating his 80th birthday, he succumbed to cancer. Born in Baltimore, Francis Xavier Callahan was raised at St. Bernardine Parish and attended its parish school. He attended St. Charles Minor Seminary and Mount St. Mary’s Seminary in Emmitsburg, where he left an impression on an undergrad who would later be on his staff at St. Margaret. “He was in the seminary when I went to the Mount,” Deacon Patrick Goles said. “He was a great intramural football player, tough as nails. 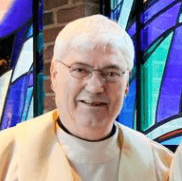 Ordained for the Archdiocese of Baltimore in 1963, Father Callahan served St. Dominic and St. Ambrose parishes, and the National Federation of Priests’ Councils, which was formed in 1968. 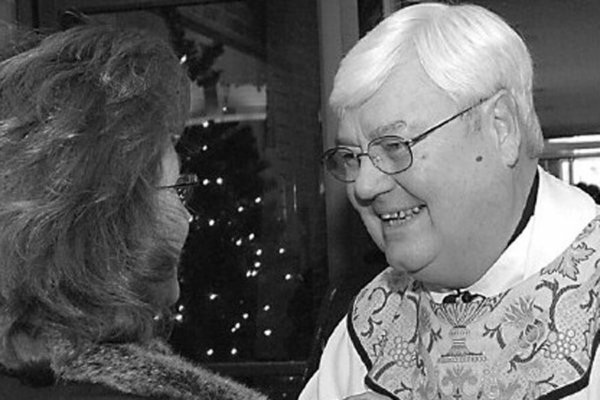 From 1971 to 1976, Father Callahan served the archdiocese as field coordinator for the Division for Pastoral Councils. Together with Paul Purta, then a Sulpician priest, Father Callahan led approximately two dozen retreats for priests around the U.S.
“We were among the authors of a small book, ‘The Spiritual Renewal of the American Priesthood,’” Purta said. “The retreats were based on Vatican II. 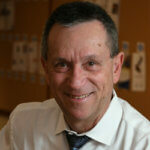 Frank is a masterful leader; he had a way with group dynamics. We were bucking against men who were accustomed to a quiet retreat, and he got them talking. When the Jesuits left Corpus Christi Parish in Bolton Hill, he became a co-administrator in 1976 and then its pastor in 1981. The parish placed women in leadership roles, including Therese Wilson Favors as director of evangelization. She went on to lead, for nearly two decades, the archdiocesan Office of African American Ministries. At St. Margaret in Bel Air, Karen Saccenti went from school parent volunteer to parish bookkeeper to the title Father Callahan gave her, assistant pastor, one she still holds under the current pastor, Monsignor Kevin Schenning. Father Callahan was the longest-serving pastor in the history of St. Margaret, which opened in 1905. He led it from 1986 to 2006, when the population of Harford County grew by 50 percent and the rolls of the Catholic church in the county seat increased from 2,500 families to more than 5,000. When Father Callahan arrived, the parish school was struggling. A decade later, the archdiocese opened St. Mary Magdalen, a mission to the parish. After students swelled the existing space at St. Margaret School, its middle school moved to the mission campus in 2001. Father Callahan made his people look beyond their own faith community. “He took an ecumenical approach,” Saccenti said. “He worked very hard to establish a homeless shelter in Harford County, and managed to get our neighboring parishes working toward that end. In retirement, he served the community of St. Michael at Aberdeen Proving Grounds, and chapels in the Edgewood area. Visitation will be July 9, 3-5 p.m., at Ruck Funeral Home on York Road, and July 10, 3-7 p.m., at St. Margaret. A funeral Mass will be offered July 11, at 10:30 a.m., at Stella Maris Chapel in Timonium.